The US has lost its role as mediator in the Middle East by moving its embassy in Israel to Jerusalem, Turkish President Recep Tayyip Erdogan said in London on Monday. 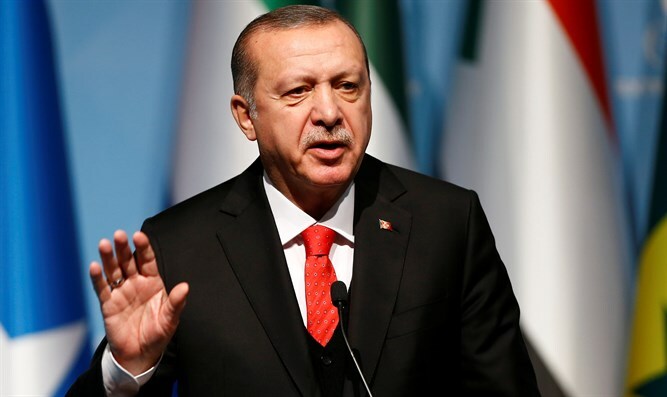 "With its latest step America has chosen to be a part of the problem, not a solution, and lost its mediator role in the Middle East peace process," Erdogan told the Chatham House international affairs think tank. "We are rejecting once again this decision which violates international law and which is against UN resolutions," he said. Erdogan called the US embassy move from Tel Aviv to the city of Jerusalem "very, very unfortunate," claiming it "will increase tensions and ignite an even greater fire between communities." "The international community must do its part as soon as possible and take swift action to put an end to Israel's increasing aggression. The establishment of an independent Palestinian state with Jerusalem as its capital is the only way for lasting peace and stability," he alleged. Both Hamas and the Palestinian Authority deny Israel's right to exist as a Jewish state. A White House delegation and Israeli officials are set to attend an inauguration ceremony for the US embassy later on Monday.